These cupcakes are a breeze to make. Though it sounds exotic, it is one of those cupcake recipes that is easy to make with everyday ingredients available at home. 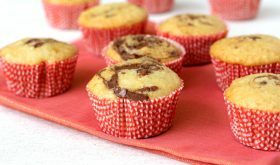 Nutella is the main star player that elevates the flavor of the cupcake. The self frosted Nutella swirl turns an ordinary cupcake into an special one. In a bowl, add maida, baking powder, sugar and salt. Add butter and mix well. It will appear like bread crumbs. In another bowl, add eggs, curd/yogurt, oil, and vanilla extract and beat until smooth and well combined. Add this egg mixture to the flour mixture and beat on medium speed until just combined. Place cupcake liners in the muffin pan and fill the liners with batter just over 1/2 full. Add a tbsp of nutella over each of them and give it a swirl with a knife. Bake for 18-20 mts. Check from 15 mts onwards. When the cupcakes are done, remove the pan and place on a cooling rack to cool. After 5 mts, remove the cupcakes from the pan and cool for a few more minutes. There is no need to frost these cupcakes. They can be stored in an airtight container upto 3 days. By Sailu Published: July 8, 2013 Nutella swirl cupcakes are amongst the easy to make cupcake recipes. 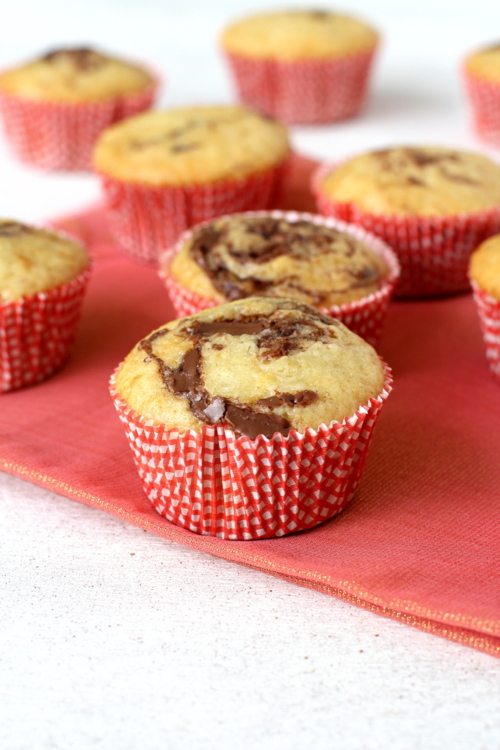 Make a basic cupcake recipe, add some nutella in cupcake batter and give it a swirl. 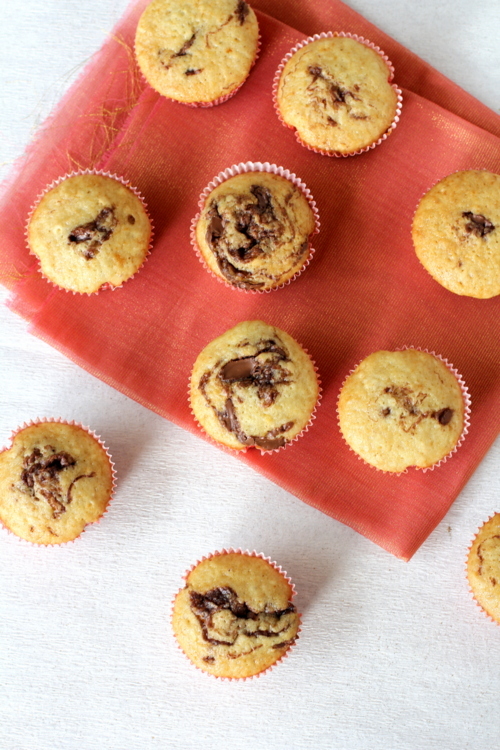 Nutella cupcakes are anytime welcome in our home too. Simple and delicious looking. Omit eggs, Increase curd/yogurt by another 2 tbsps and add 1 tbsp vinegar at Step 3. Hi! Instead of Maid Can I use All-Purpouse Flour?